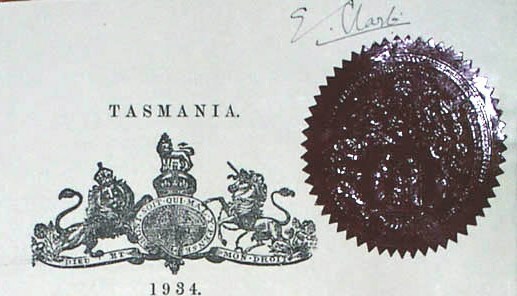 Clark was enormously popular in Tasmania, especially because of his untiring visits to all parts of the state, encouraging morale during the war. 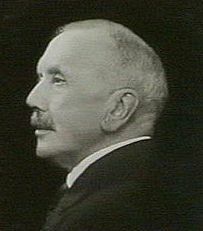 Clark returned to England in 1945, and died there on August 26 1951. His remains were shipped to Tasmania for interment at Cornelian Bay Cemetery. 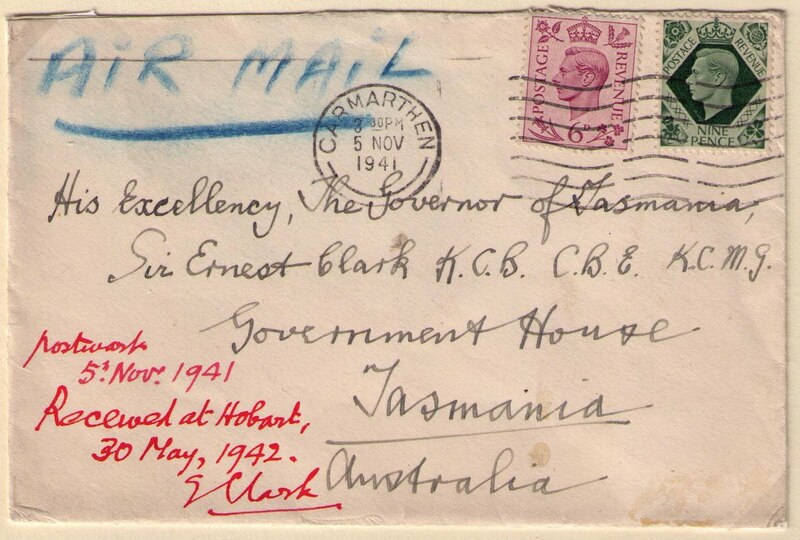 The cover below was mailed to Sir Ernest Clark, Government House, Tasmania from Carmarthen on November 5, 1941. The 1s. 3d. rate provided transmission by sea from Great Britain to South Africa, then by air to Australia. 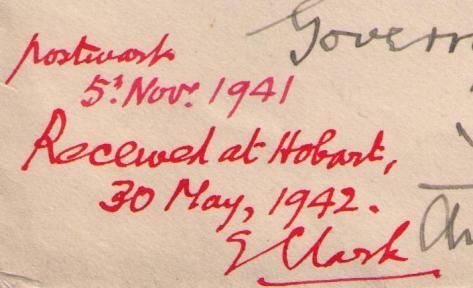 According to the docket written and signed in red ink by Ernest Clark, the letter was postmarked November 5, 1941 and received at Hobart on May 30, 1942.